Hello friends… 🙂 Up to now you have learnt how to deal with UIImageView, UITexiField and UIButton in an AutoLayout environment. Today we will add UIScrollView to that knowledge bank. In order to have a flow with my posts, I would like to complete the log in interface with UIScrollView that we used for our last two blog posts. At the end of my last post, I have mentioned a possible difficulty that you may come across with the log in interface and one solution would be UIScrollView. Let’s see how to implement that solution. Following is the final outcome of the user interface and I will write all the constraints that I have used in Y = mX + C format. I have highlighted special constraints that are most important to scrolling feature or that we haven’t used in previous tutorials. So that is all about todays lesson. Anyway, that will ended up my last post promise as well 😉 Next time we will meet with something interesting. Till then, have a good coding. 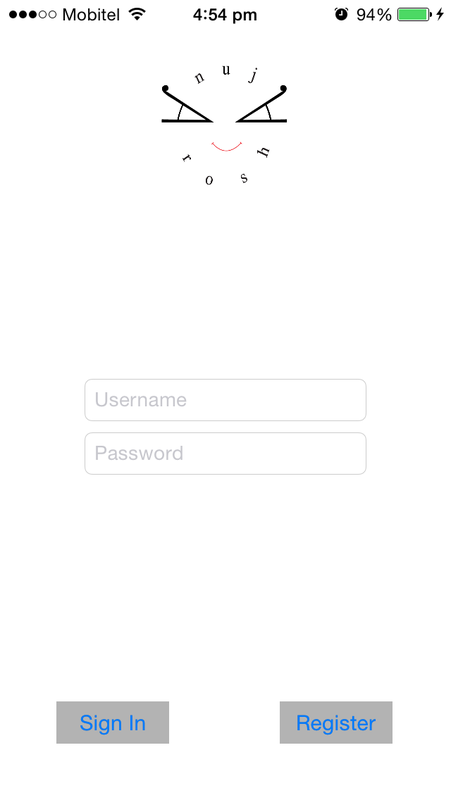 This entry was posted in iOS and tagged AutoLayout, iOS, Storyboard. Bookmark the permalink.